Dr. Todd Donohoe has been in practice since 1997. 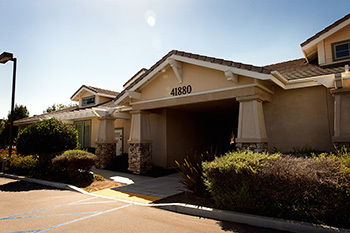 He opened the doors to Donohoe Chiropractic two years later, building the practice from the ground up in the beautiful City of Murrieta. Dr. Kristine Wilder joined the team in 2016. Dr’s. Oldenburg & Cathers joined the team in 2018. Together, Dr. Donohoe and our 3 amazing Associate Doctors are proud to deliver exceptional chiropractic care for the whole family with an emphasis on prenatal and pediatric care, as well as functional medicine. Dr. Donohoe is in recovery from a serious injury he sustained in January 2017. His schedule is limited due to his own therapy appointments and in high demand. However, due to the nature of his patient’s needs, Breech Presentation Moms and any infant with breastfeeding difficulties, Tongue or Lip Ties, will always be seen within 48 hours. Please be sure to let our staff know your circumstance so that we may expedite your appointment. 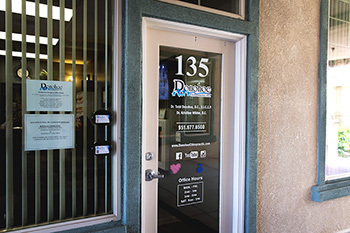 At this time, Dr. Donohoe ONLY treats pregnant and postpartum mothers and children 12 years and younger. Drs. Wilder, Oldenburg, and Cathers take care of everyone else in the practice. Dr. Donohoe is the only Board Certified Pediatric and Prenatal Chiropractor in Riverside County with over 21 years experience. He has completed postgraduate training (2001) to earn a Diplomate in Clinical Chiropractic Pediatrics (D.I.C.C.P.) and sees babies as young as hours old. He has been Webster Technique Certified through the ICA and ICPA since 1998. In some cases, they have severe issues such as torticollis or nursing difficulties. One success story involved a 3-year-old girl with a lazy eye who saw it corrected after starting chiropractic care — no surgery required. Older children can get help with bed-wetting, ADD and much, much more. 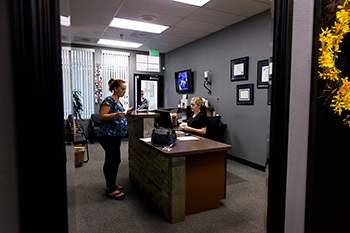 The doctors at Donohoe Chiropractic utilize a combination of techniques to address their patient’s health care needs. First, Activator Methods Chiropractic Technique which utilizes a unique, neurologically based examination to identify the location and pattern of joint dysfunction whether in the spine or extremities, combined with a low force, high speed instrument (the Activator 5) to deliver the adjustment. Second, Neuro Cranial Integration, a soft tissue technique which addresses any abnormal tension within the cranial sacral system by gently stretching the connective tissue membrane which ties the skull to the tailbone. This releases stress that can be compromising the brain and spinal cord as well as nerve conduction throughout the entire body. The procedure is completed in less than 2 minutes and is recorded as the favorite part of most patient encounters. In addition, Physical Therapy modalities are utilized when indicated. Electric muscle stim, interferential therapy, traction, ice and heat are all utilized along with home-based stretching and exercise recommendations which can be added to the treatment plan.